Pelosi today to @SavannahGuthrie: "How many more times can we say no? Nothing for the wall." Notable that both here and in quotes in th NYT story, Sanders camp does not dispute any of the details. Instead they talk about mistakes and new policies. I think this person makes a good point. I don't find it worrying though because I agree with others that his window has closed. Sanders apologized to any woman "who felt she was not treated appropriately" and said "if I run, we will do better next time"
^ Awful and I don't see much hope in stopping the Saudi's from doing whatever they want. Money talks and right now we have a president who listens to little else. I hope she can survive in prison until help comes from somewhere. One of Trump's campaign pledges (other than build the wall and have Mexico pay for it) was that he'd eliminate the National Debt. As of today, with a year left on his term, he has added 2Trillion dollars to the National Debt. 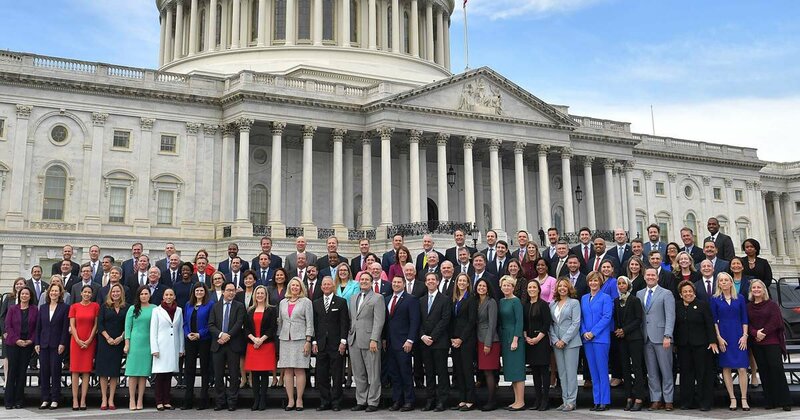 I have to admit that seeing a picture like this with what looks like an actual diverse group of Congress-people has me a bit verklempt, the good kind of verklempt, of course. ZTE was once declared a national security threat to the United States.